There’s finally something all dermatologists can agree on: retinol benefits. While it may have started out as just retinol creams, you can now find retinol in almost any skincare product. From sunscreens to serums, and everything in between. 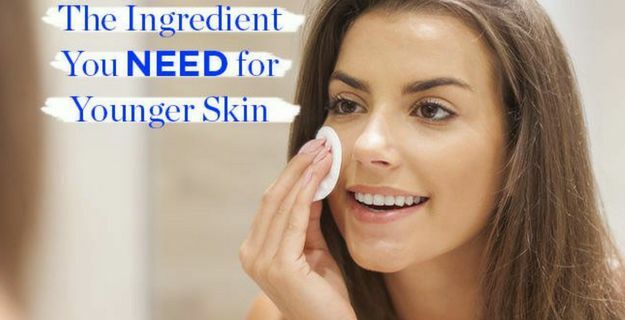 And it’s not just found in skincare products anymore, either. If this sounds like Greek to you, check out our introductory article called “What Is Retinol“? Retinol is popping up in makeup, too, such as in foundations and lipsticks. Some of us may not fear getting old, but that doesn’t mean we want to look our age. That’s why so many young women, as early as late teens, are already on a retinol. So whether you have yet to have your first real job, or you’ve already reached the later years in life, a retinol is a great fit for everyone. Not only can it help prevent signs of aging, but it can also drastically rewind the clock on your face and undo some of the damage you’ve done throughout the years. How does retinol do this? By boosting the collagen in your skin. More collagen = less wrinkles. So if you already have wrinkles (or laugh lines) on your face, one of the retinol benefits is its ability to help “pop out” those wrinkles. The same is true about preventing fine lines. Having additional collagen in your face will make is harder for your face to create those lines in the first place. A common misconception is that a retinol is the same product an exfoliator. While that isn’t true, it does act as an exfoliator, in a way. One of the retinol benefits is its ability to unclog pores and prevent further build up. When your pores can actually breathe, and your other products can sink in to your fresh skin, you’ll see way less breakouts. And you haven’t even heard the best news yet. Say you struggled with acne in the past, and have some pesky scars to prove it. Retinol has been proven to both prevent AND undo acne scarring. So when you’ve finally kicked acne to the curb, there will be no sign she was ever there. As we age, our skin cells stop maturing, and tend to pile up. Which is definitely not ideal for a beautiful complexion. Retinol works on a molecular level to normalize cell turnover. So what does that mean for your skin? Smoother texture. Brighter complexion. Smaller pores. Diminishing hyperpigmentation. Less dark sunspots and age spots. Those retinol benefits, are just plain and simple, impossible not to get excited about. Who else is sick of large pores on their nose and chin? Or what about that horribly dark age spot you can never cover up with foundation? Or what about that one rough spot on your face that foundation never seems to stick to? Maybe you aren’t a makeup girl. What about the confidence to leave your house without an ounce of makeup on and have people comment on how beautiful your skin is? How do you achieve that? By introducing a retinol into your skincare routine. For most of us, we’re probably already sold on the retinol benefits. When you mix anti-aging with acne-fighting abilities, it’s a win-win no matter who you are. 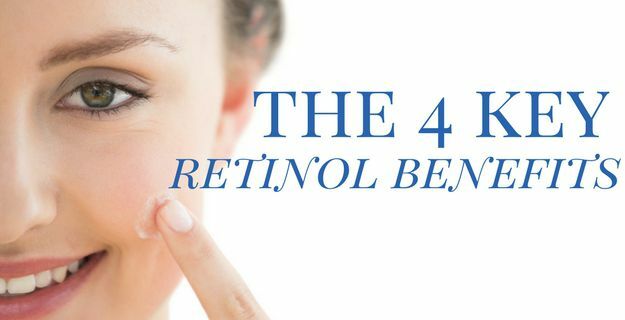 But for individuals who struggle with more unique skincare concerns, retinol can be an absolute lifesaver. I’m talking specifically about individuals who struggle with psoriasis and warts. For those who battle psoriasis, one of retinol benefits is the ability to slow down the cell growth in those areas. So instead of the buildup of thick, white or red patches of skin, retinols can help reduce the pain and appearance of psoriasis. If you’ve also tried every wart treatment under the sun, retinol has the ability to kill the cell growth of warts, helping you kick that problem once and for all. So, there you have it. While the true list of retinol benefits is probably endless, you have the major benefits at your fingertips. Whether you’re a teenage girl with acne you’re hoping to get under control, or a middle-aged woman who is starting to see the signs of aging, a retinol is the perfect ingredient to add into your skincare routine. Start slow, give it 12 weeks, and you’ll be thanking yourself, and your skin, that you introduced it into your regimen. Jessica Jones is the Executive Editor of Retinol.com. At age 23, Jessica began seeing a few fine wrinkles and decided to make it her life's mission to stop them in their tracks! When she's not trying out the newest retinol creams, Jessica can usually be found at the gym, or at happy hour!